Online market facilities have made our life easier than ever before. By offering a platform where things from small pin to electronics products everything is available on Internet. It has become common practice not only as a business purpose but also to satisfy the customers by using mobile apps or website. However there is still a sector which remains unorganized and by and large offline. The transport sector is massive in India but this sector’s potential has remain untapped since ages. 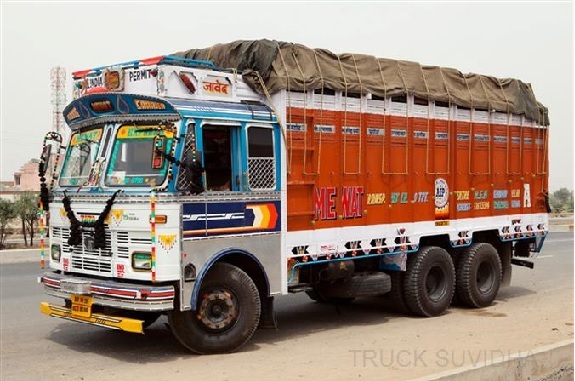 With rapid growth of the national road network in India the number of online operators like TruckSuvidha for booking truck transport has entered into this field. Transportation of goods is generally considered in three segments, cargo transport by open body truck, tanker trade and container transport. Trucks transport is door to door flexible services which are not served by rail, water or air transport also suitable for short distance with less risk of damage. Development in technology, such as computers, satellite, Communication and the internet have contributed too many improvements with in the transport industry such as online trucking system option by Indians also. Most of the truck carry only 50% of their installed capacities, resulting in huge losses, beside a heavy transit cut. That problem faced by a logistics was the day-to-day challenge. It was due to lack of common platform where customers would connect to with service providers. The main motive of TruckSuvidha of bringing the online trucking system is to bridge the gap between Customer, transporter and other related entities, thereby helping the logistics industry to meet the required demand-supply ratio, by bringing all key players on a single common platform. Such development leads to the productivity of company operations saved the time and effort of drivers and provided new and accessible way of transportation of goods. This one reform might transform India’s trucking industry. The truck market i.e. if you have a lorry returning to Mumbai from Punjab, with empty load, then the add regarding to the same can be placed on the Internet on various website stating the type of lorries that it have, the goods that can be carried, the maximum weight of the load, the exact time of availability with the contact details. And if there is someone looking for a lorry to the same destination that similarly matches the one that was in add on Internet, than same person can contact, maybe at bargain price, instead of returning home empty. While returning home empty is a logistical inefficiency and has a huge cost of the transport industry can run into millions of rupees annually as loss. After completing the delivery many transport truck return empty because they could not find a suitable freight and suffer from setback. Which can be converted into a fruitful deal with the help of “Online Trucking System”. Such kind of Indian trucking industry which is opting online working on transportation system is welcome as well as initiated where if you anticipate the trucks to be more income level then will force the transport industry to accelerate the change with the time and need. Commercial vehicle sales back on track in October…!!! Prashant I am a common man support your thought of online truck booking system. Some transport unions should come together for this cause & fix fright charges as per route, diesel rates, tire wear & tear & other maintenance, driver payment, quality of service, administrative charges, type of lorry & their profit margin. Charges will very upon changes in diesel charges & type of lorry only. Your information is really interesting to all readers. Hope you continue to keep up with this blog and will provide us some more information like this. Thanks a lot for sharing these links dude !! We get to know all the trailer transportation services thru ur amazing blog.Cheers !! A very informative blog, I have learn lots of things, Thanks for sharing. hi ..nice information regarding Online Transportation Services.